The long, lazy summer days of lounging on your wood deck with a cold glass of lemonade and a good book have come to a close. Soon, the days become shorter and the temperature colder. It’s only a matter of time before snow and ice begin to fall. Prepping a wooden deck for winter is important if you want to be able to enjoy it again next summer. Your furniture, grill and any plants or décor on your deck won’t withstand a frigid, wet winter. Wash and rinse everything with the appropriate cleanser and store it in a garage, storage unit or another secure facility until the weather becomes warm again. Wood deck maintenance is vital. Inspect the wooden planks, stairs and railings for damage and do repairs as necessary. Once completed, thoroughly clean the space to remove dirt and debris that could cause damage during the winter months. If it is particularly dirty, you can use a power washer, but ensure you do so according to your deck’s requirements. Being too rough with it can cause damage to the wood. If your deck isn’t as glossy and beautiful as it once was, re-staining it can make it look new again. By doing this and applying a water repellant, you also protect it from the elements for a longer period of time. 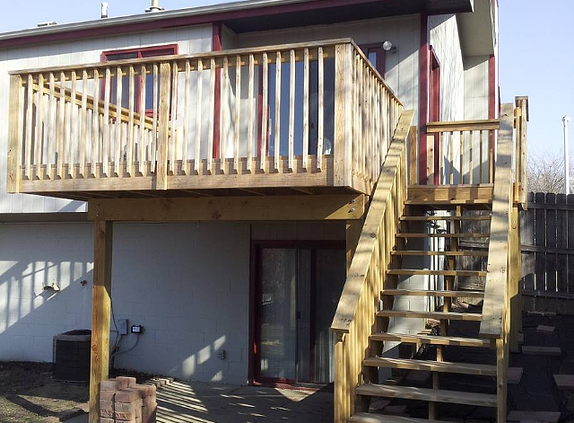 Winter preparation is necessary if you want to keep using your deck for many summers. The accumulation of snow, ice, leaves and other debris may cause damage or fading if left too long. Remove snow as promptly as possible. If you can, use a blower to prevent damage to the planks. If you must shovel, move in the direction of the planks to minimize damage. If you want the best protection, prepping a wood deck for winter is a job a professional should complete. A licensed company will have the necessary training, equipment and knowledge to perform tasks in a more efficient and safer manner, ensuring the longevity of your precious outdoor space. 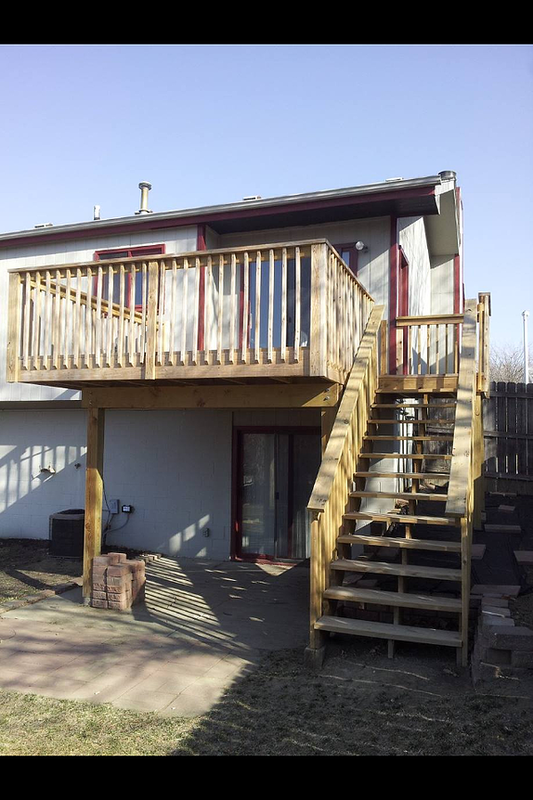 At G&K Construction in Omaha, NE we have the experience and training to protect your investment. Contact us today or click here for a free quote!